Summer is a bit of an awkward time for your backyard. It’s a time when it gets the most use, but it’s also a time when it has to deal with the most challenging conditions of the year. You need to prepare your backyard for the onslaught of the activity and heat if it’s going to stay in tip top shape. Here are our top tips to help ensure your backyard survives this summer. As the rain dries up, it’s up to you to ensure your garden is appropriately hydrated. When it comes to watering, it’s not about frequency; it’s about technique. You need to water deeply and give each plant a good soak. You also need to water in the morning or early evening, to ensure the water isn’t evaporated immediately by the sun. If possible, you should invest in a drip irrigation system, over sprinklers and hoses. The slow drip allows water to penetrate more deeply into the soil. The grass in your backyard probably wasn’t designed for the climate of a Melbourne summer. If you want it to survive without completely browning off, you need to doctor it a little. To begin with, you need to aerate it. An aerated lawn will receive more oxygen, which will keep your grass healthy enough to withstand the harsh summer rays. You also need to top your grass up with nutrients by fertilising it, while frequently weeding to remove any nutrient stealing weeds. You also need to change the way you mow. If you mow too short, you’ll expose fresh growth to the sun. In fact, it’s best to keep your lawn a bit longer of summer. That way the new growth will stay green, and when the top layer inevitably browns-off, your lawn will recover a lot quicker. The pots around your backyard usually contain your most precious plants. Just because they’re in pots, doesn’t mean they don’t need a little extra love over summer. Your potted plants should have plenty of mulch added before summer hits, and you need to water them daily. If you have a lot of potted plants and don’t have time to water them every day, invest in a drip irrigation system that is connected to a timer. The bigger your plants are, the more moisture they will need to survive. If you’ve got overgrown plants, you can ensure their survival by trimming and pruning them back to a more manageable size. Trees are often the most neglected part of a backyard. Homeowners seem to think that once they reach a certain size, they are self-sufficient, but this couldn’t be further from the truth. Over summer, your trees will need plenty of water. In fact, you’re well served to focus on your trees because it’s going to be very time-consuming and expensive to remove a big, dead tree from your backyard after summer. If you really want to keep your vegetation in tip top shape over summer, you can protect your more fragile plants with a shade sail. Not only will a shade sail shield your plants from direct sunlight, but they also provide you with a fantastic space to entertain and relax in. They’re inexpensive and quick to set up, and it will add a whole new element to your backyard. Your deck will be subjected to high amounts of foot traffic over summer, and the sunshine will show up any imperfections. If you want a deck that will impress over the summer months, you need to treat it. Contact your local decking provider for advice on the best stain for your decking. 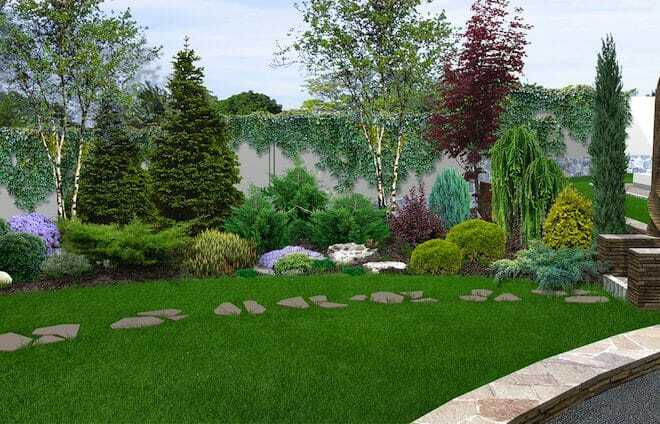 Your backyard will be busy over summer, and if you’re an entertainer that means people will be able to see all the cracked pavers, dirty concrete and overflowing garden beds that were invisible over winter. It’s best to get all those little maintenance jobs done before the height of summer hits. You could even opt for a full garden makeover, and start installing some plants that require very little attention when the heat turns on. Need some inspiration? Take a look at our Top 11 Garden Ideas. Summer is tough on your backyard, but it’s also the time when you get the most enjoyment out of your efforts. If you put in the preparation now and stay on top of the little things, you’ll still have a lush patch of paradise all the way through to autumn.